Over the past 32 years, I have lived in every quadrant of where I am based in Portland, Oregon and have watched each one of those quadrants gentrify and push artists out. 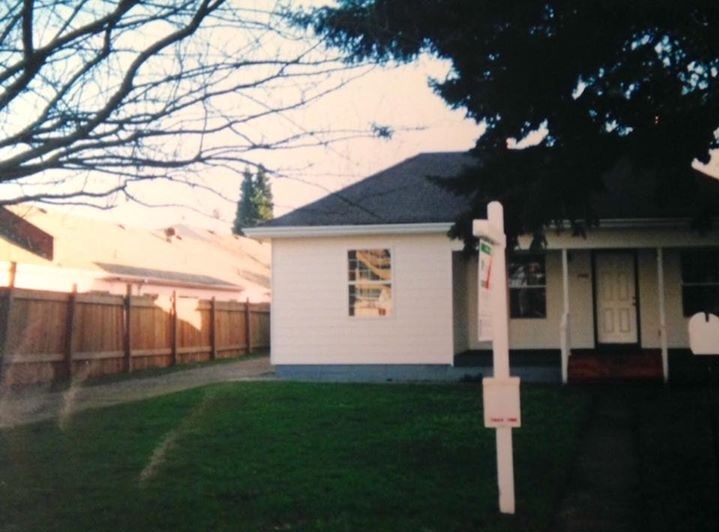 In 2002, before there was a MAX train or trendy Mississippi District, I purchased a home in North Portland. At the time, the area was the final frontier for creatives to invest in property. Rather than sell the property to a developer, my vision is to stay and expand. Affordable artist workspace in Portland is growing extinct, forcing artists out and thus the city's creative class. Most recently, Mayor Ted Wheeler and Commissioners Nick Fish and Chloe Eudaly's proposed a plan for preserving and expanding affordable art space. Please feel free to click on these links for more information. Three buildings are slated to go up within my block and two homes demolished, one on the corner across the street from me and one already taken down last week. This was Joan's house six doors down after aspestos removal. She died. I have a vision for an art center that would have affordable artist workspaces and places for students to stay when they come for classes. I am in a zone where I can go up 7 stories. Why not be my own developer and maintain some semblance of Portland's creative culture rather than being run out by one? I am beginning to look the possibility of how I can use my property towards that end. My goal is to keep the creative culture alive by continuing to create and teach in the midst of one of the fastest transforming quadrants of Portland. My house came with a newly built garage, which became my studio, an ever-evolving work in progress where I have built my career. Situated in the North Interstate Corridor Urban Renewal Area, new buildings are now rising all around me. It took a half day to obliterate what remained of Joan. Her house will be replaced with a single family dwelling. 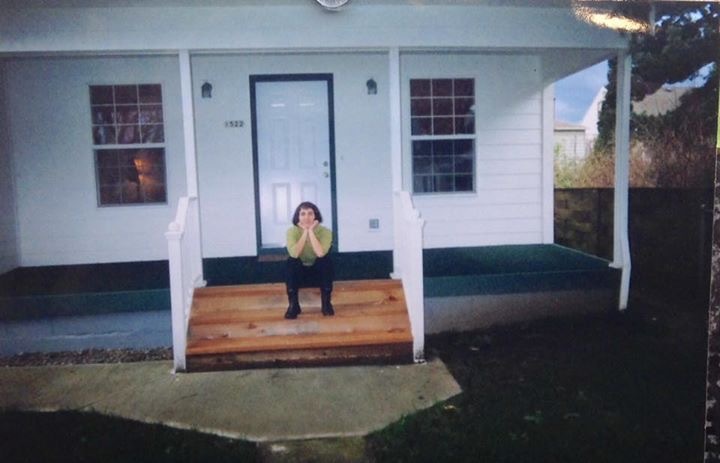 I posted this story of my house on Facebook marking my 16th "Housiversary", which, much to my surprise, resulted in many helpful comments, referrals and encouraging words. Since then, I have been meeting with advocates and members of the community who want to connect me to the right people to explore the possibility of making my vision manifest. One of the referrals from a comment on my post was to visit with sculptor Martin Eichenger who created the Geode building on SE Division Street. Reaching out in this way has been both empowering and daunting, had I not, I would not have known that another artist in an equally transforming quadrant on the other side of town is in the final stages of creating a very similar vision to my own. Voicing this vision was a first baby step and is timely with the growing shortage of artist workspaces. While I am not sure where it will lead, I feel compelled to at the very least explore it. If you are interested, I would love to hear your input in this initial phase of exploration. Feel free to email me or post a comment below. Submission season arrived once again as it always does, in the midst of tax season! I am excited to be finished applying for two residencies and a $25,000 grant. I find the most consuming part of any submission process to be the statement writing. I also find this part of the process to be a good exercise in articulating the intent of my work. I enjoy the challenge of the application process; from requesting recommendations to choosing the right images. Rejection...? Well, that is never easy and I have a very thick folder of rejection letters. I am very much of the ilk that you never know if you don't try and I have learned to accept and learn from rejection, it is a skill! Here are a couple of good resources that I use to find calls for submission. In keeping with the aforementioned fantasy vision of creating an art center on my property, in some small way, I will be offering creative workspace in my basement. If you or anyone you know are local to Portland and would enjoy being part of my hyper creative environment, I am looking for the perfect fit: a non-smoking creative who ideally paints, designs, writes, draws, makes jewelry or sews. It is about 250 square feet. I posted an ad on the Regional Arts & Culture Council website. Please click below for more information. 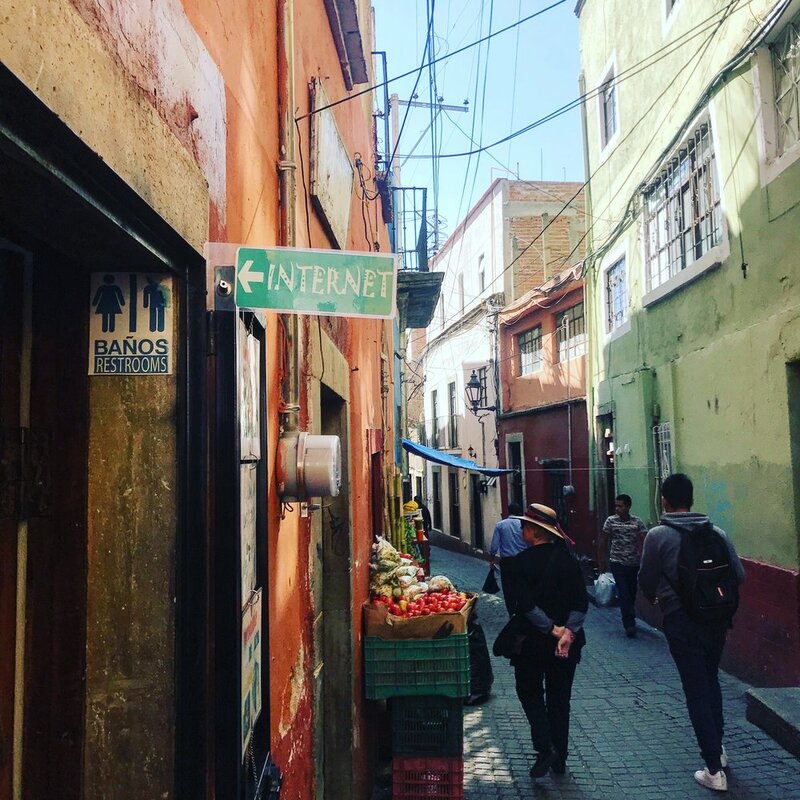 My workshop in Guanajuato, Mexico last month was perfect in every way and a great way to start the new year! I wanted to share a glimpse with you of the great fun, food and creating we did in a slide show. The 2019 dates are set! Registration for next year begins March 1!